March 28, 2016 Omaha, NE - Anant Operations announced that Randi Carlini has joined EVEN Hotel Downtown Omaha in the position of Director of Sales. Ms. Carlini comes with a wealth of experience within the Industry. Formerly she worked as a Cluster Director of Sales and led a portfolio of Downtown Omaha Hotels to achieve market leading STR Indexes while developing and leading a highly respected team of sales professionals. 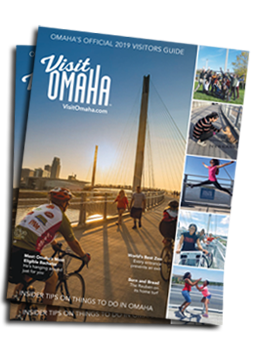 Ms. Carlini is currently actively involved in the Omaha Convention and Visitors Bureau. She will take a lead role in developing a sales and marketing strategy for the opening of EVEN Hotel in the second quarter of 2016. The EVEN Hotel Downtown Omaha is IHG’s first franchised EVEN Hotel and is managed by Anant Operations Inc., based out of Omaha, Nebraska. “We are excited to have Ms. Carlini join our EVEN Hotel Downtown Omaha team. She will be a tremendous asset to our world class management team that we are building for the first EVEN Hotel franchise in the country” stated Sean Davis, Executive Director of Operations for Anant Operations Inc.
Anant Operations is a full service hospitality development and management company with home offices located in Omaha, Nebraska. Anant Operations is a hospitality industry leader in developing and managing quality, high performing hotel, restaurant, and boutique multi-family residential assets. More information on the company’s notable achievements, services provided, key leadership, or history can be at their website www.anantops.com. Additional information on Anant Operations or any of their managed assets can also be found by contacting Codie Meehan, Corporate Human Resource Manager, at 402-933-6959 or at codie.meehan@anantops.com.